Monday was a day of rest for my family. 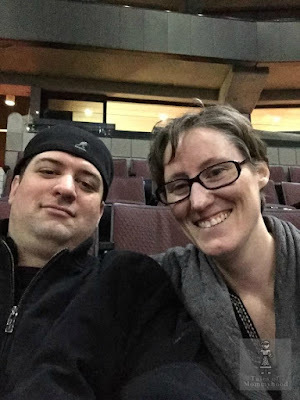 We were all recuperating from a horrible stomach flu that overtook us this past weekend; what better way than to watch a movie together as a family? Sometimes it can be hard to decide what film to put on, we generally let Mr. J choose, but there are times we just can't fathom watching the same movie for the 100th time. 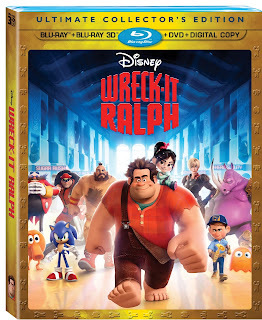 We were in luck, I happened to open the door to let some fresh air in the house, and there on my door step was Wreck-It Ralph - waiting for us! We put it on and settle in. I had seen 1 or 2 previews for the movie, but other than knowing that it was about a video game bad guy, I had no idea what to expect. It was really neat to see some of the older video game characters (Q-bert and Pac Man!) and my kids really enjoyed it. One of the things I really liked about the film was the dialogue - there were some pretty funny lines for adults, that kids wouldn't pick up on. I asked Mr. J about his favorite scene and he said when Vanellope was racing - and when the ice cream landed on the persons head. He (and I) also really liked seeing all the candy from the Sugar Rush game! 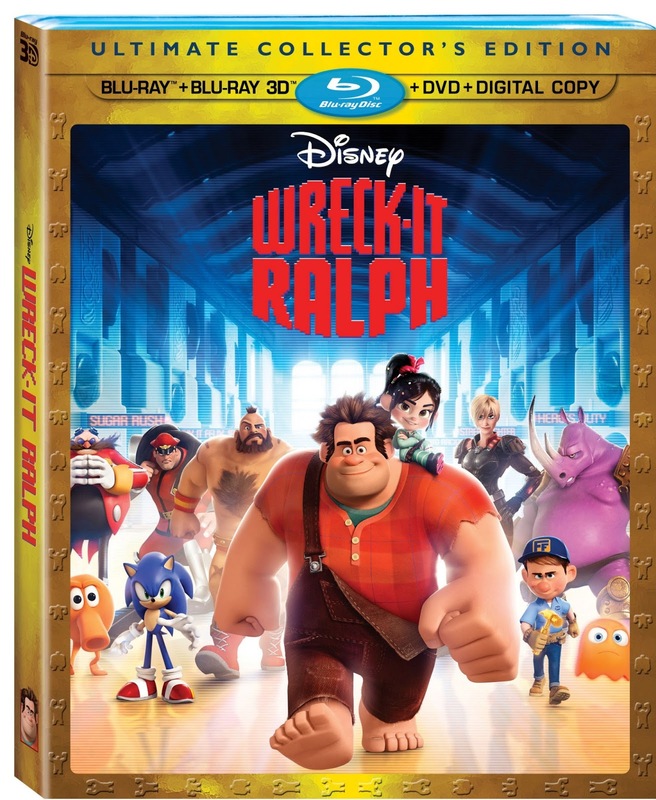 Wreck-It Ralph will be released in a combo pack (Blu ray, DVD and Digitial Copy) on March 5 - so check the store near you for your copy. This is such a great movie - as a big gamer, I probably enjoyed it more than most of the kids in the theater, haha! Plus great female characters, about time! Can't wait for this to come out! I loved this movie!